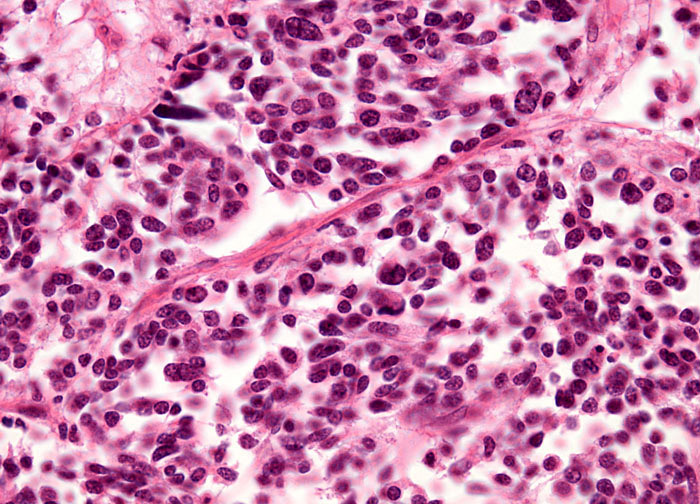 Oat cell carcinoma accounts for approximately 15 to 20 percent of all lung cancer diagnoses. Most oat cell tumors initially form in a central location in the lungs, often in the major bronchial tubes. This origin of formation is consistent with the fact that smoking is well established as the primary contributing factor in the onset of oat cell carcinoma. Approximately 90 percent of people diagnosed with the cancer are, or were formerly, smokers. Thus, not smoking and avoiding secondhand smoke are the best ways to reduce one’s risk of developing oat cell carcinoma. Uranium and radium miners have also, however, been found to display a higher incidence of the lung cancer than the general non-smoking population, and in fact, it is widely recommended that all carcinogens that can be borne by the air be avoided to lower risk.